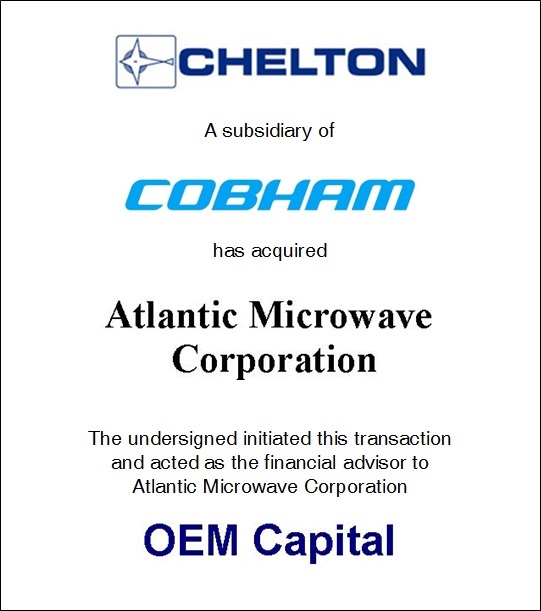 OEM Capital sold Atlantic Microwave Corporation of Bolton , Massachusetts , a closely held company, to a wholly owned subsidiary of Chelton Communication Systems, Inc., a member of the Cobham Group of Companies with its headquarters in the United Kingdom . 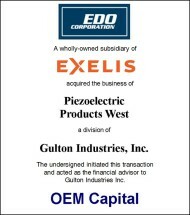 OEM Capital was retained to develop and execute a strategy to assist the selling shareholders in maximizing the value of their holdings. 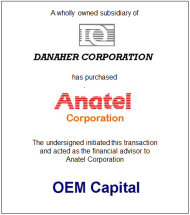 Atlantic Microwave Corporation designs and manufactures microwave components and assemblies for radar, electronic warfare and communications applications. 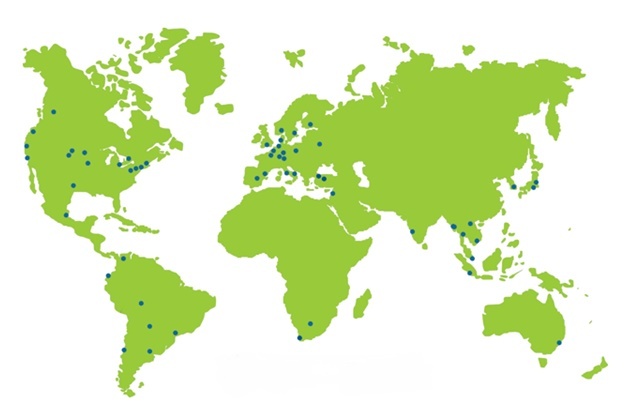 Atlantic Microwave Corporation is noted for its diversity of active and passive component technologies and has an enviable reputation for unique, customized solutions to the most demanding performance requirements. 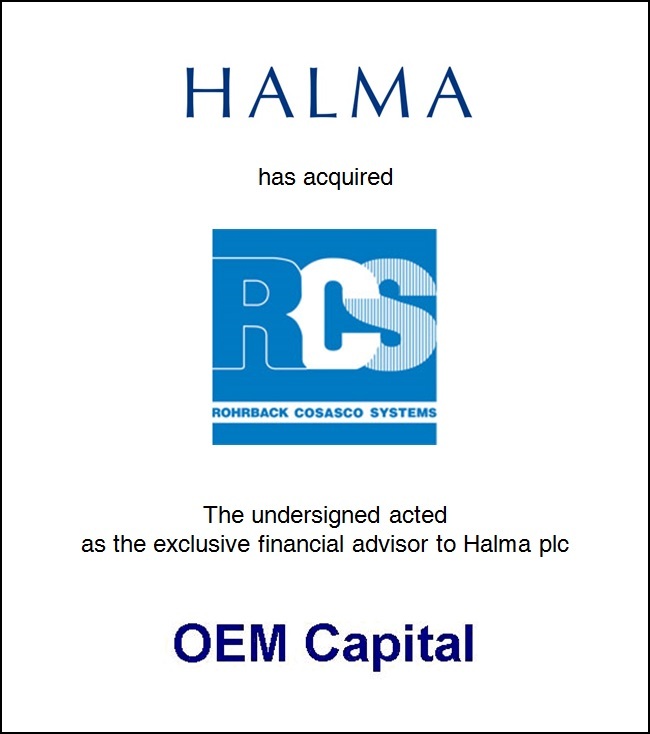 The Cobham Group of Companies specializes in airborne antennas, static discharge devices, homing systems and receivers for commercial and military applications. 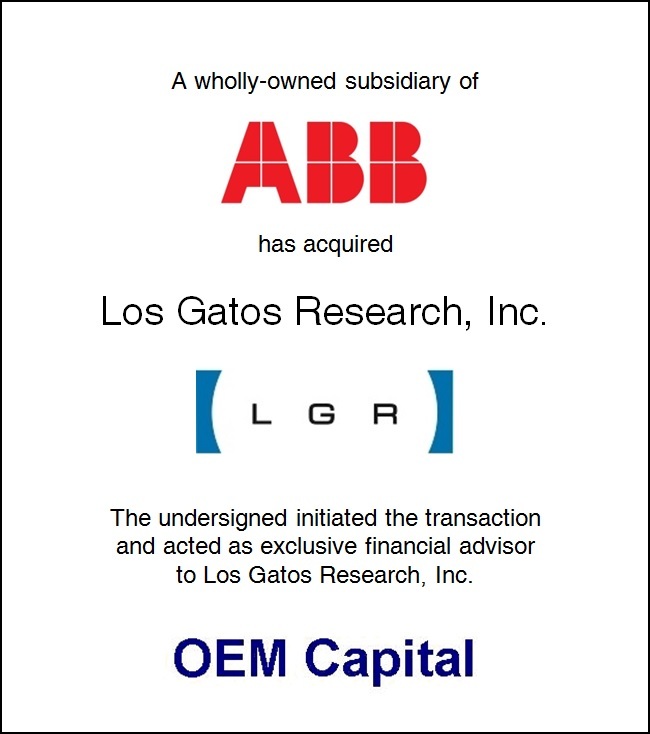 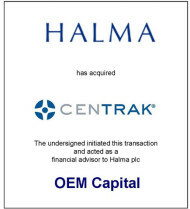 As a result of OEM Capital’s efforts, the selling shareholders were able to realize a value for their holdings at approximately four times the book value at closing and one times annual revenue. 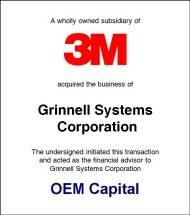 This was at a time when the market value of much larger publicly traded defense oriented electronics companies of a comparable size with similar products, measured as a multiple of annual revenue, averaged half of the multiple the shareholders of Atlantic Microwave Corporation realized. 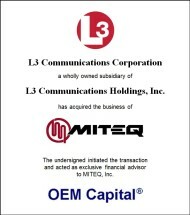 Our success with Atlantic Microwave Corporation illustrates that , whether a business is healthy, under performing or distressed, superior valuations can be realized for the selling shareholders by a well-executed approach to a sale or divestiture by merger and acquisition professionals who are knowledgeable about the industry and the intentions of its participants.